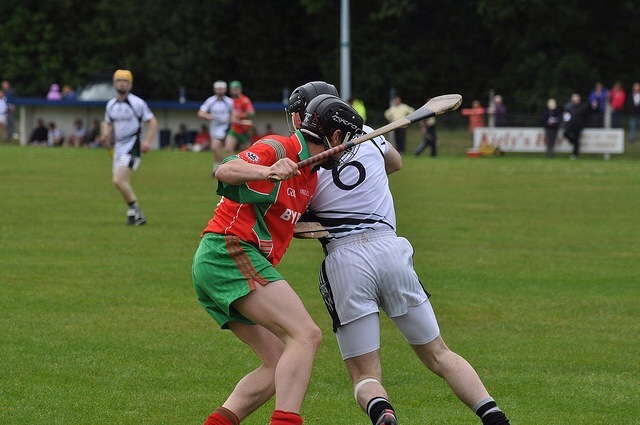 For those not in Ireland GAA is the organisation behind our national sports – Gaelic Football and Hurling (there is a Camogie association for the ladies). Many parents, myself included, get their kids involved in sports and in Ireland often that sport is one of the two GAA codes as they are known. 4. Weekends end up being only about training and matches; Sunday morning is no longer sacred (not in a religious sense anyway). 5. Your family planning involves planning all your children to be born in January to take full advantage of the fact that the GAA look at children’s ages on 1st January to determine their age category. I failed miserably here with my first arriving 22nd December – disaster! 6. You risk hypothermia standing on the sidelines of matches cheering on your little one (although once experienced you wrap up warm and bring a flask of coffee). 7. You have experienced the pure joy (not really) of trying to fit a mouth guard to a 5-year-old. 10. You feel immense pride seeing your kids running around and having loads of fun! 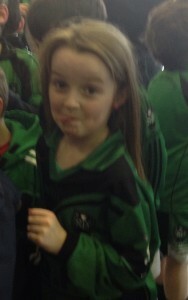 My cheeky little lady having just finished a successful Indoor Hurling tournament! I have been wanting to read this post for a while. I love the ‘fitting a mouth guard into a five year olds mouth’. It was hard enough fitting it into an eight year olds. Don’t forget the boots filled with newspaper, lying at the door with the dried muck falling off and going everywhere! 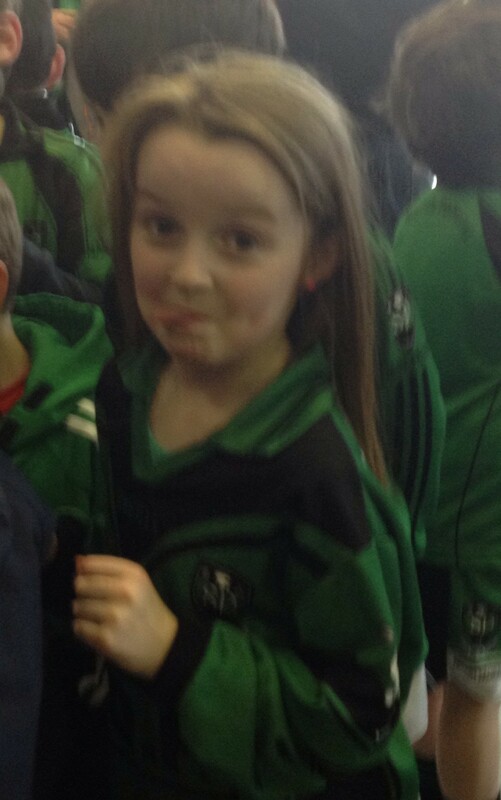 Where would we be without the GAA. I think I come second to it in this house. Christmas Day due baby until New Year 🙂 but we love it!! Love it! My two have just started Gaelic in school and they’re obsessed – for now anyway. We’ll see what happens! School’s out for the summer! Suggestions welcome!